Black Canyon of the Gunnison National Park, also known as the Black Canyon National Park, is a national park outside Montrose, Colorado. It is managed by the US National Park Service since it was established as a national monument in 1933. It was later upgraded to national park status in 1999. The entire park spans a total land area of 30,750 acres with over 238,000 annual visitors (as of 2016). The area covered by the Black Canyon of the Gunnison National Park includes the deepest and most dramatic part of the canyon in the area. 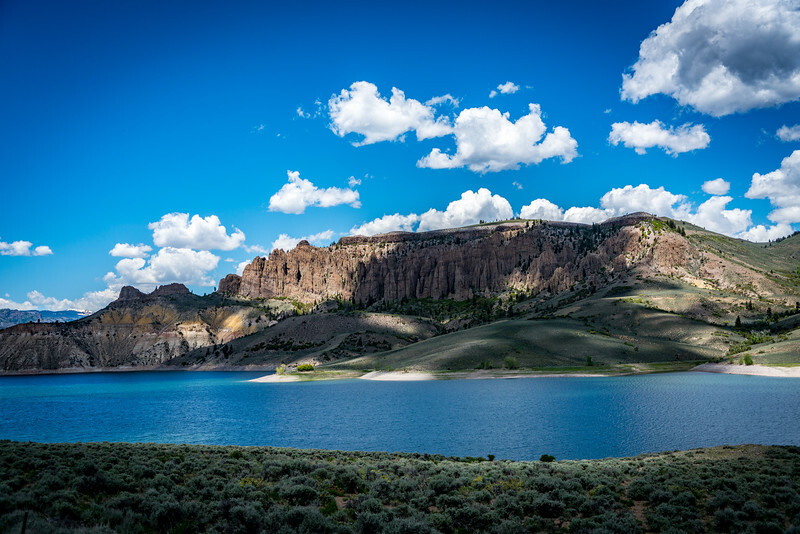 This canyon continues to travel upstream towards the Curecanti National Recreation Area until it merges into the Gunnison George National Conservation Area. The canyon is named after the fact that the depth of the canyon means that it only gets up to 33 minutes of sunlight per day. While there are many other canyons in the US that are known for their depth, this one is unique as it comes to the narrowness and darkness to its quality. Despite the darkness, the Black Canyon of the Gunnison National Park is an undeniable work of art. Hence, it comes as no surprise why it is one of the fastest growing attractions in Colorado. 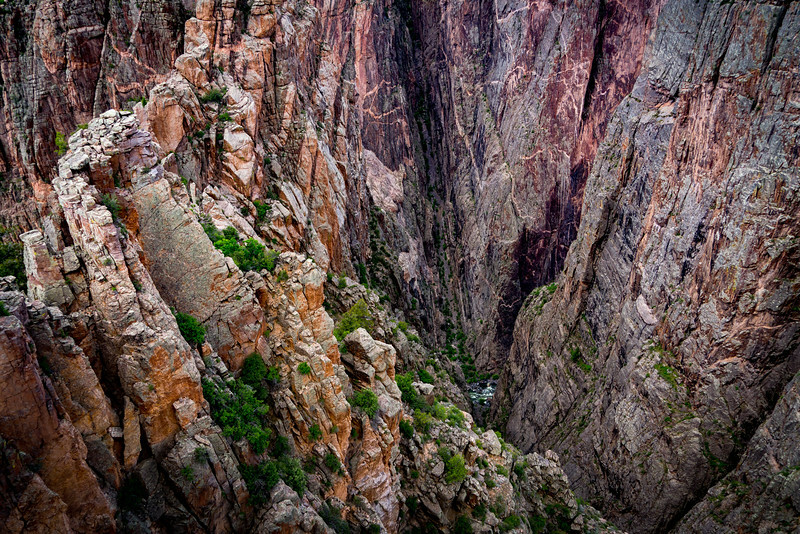 The Black Canyon of the Gunnison National Park is estimated to have formed over 1.7 billion years. It consists of numerous geological features including schist and Precambrian gneiss. The collision of ancient volcanic island arcs was believed to have been the crucial factor in the formation of these canyons. The notable lighter-colored pegmatite dikes that crisscross against the basement rocks formed a years after the canyons formed. 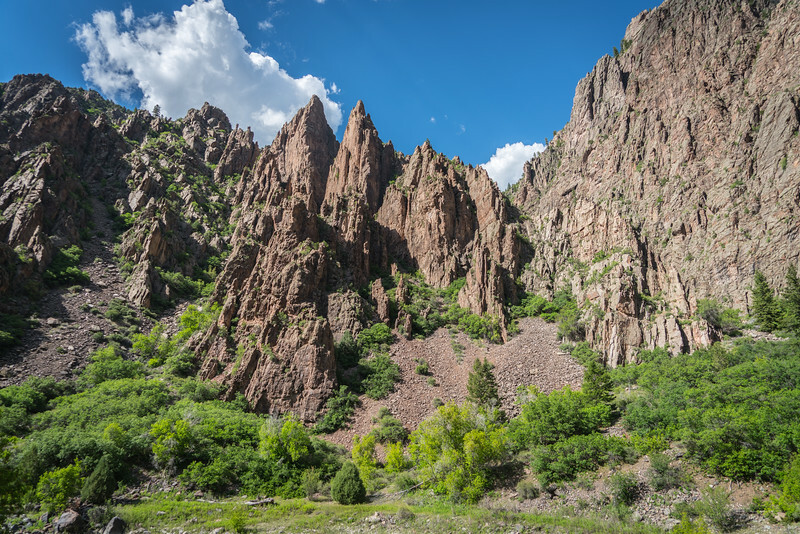 The Black Canyon of the Gunnison National Park is known for its rich collection of flora and fauna. There are several native plants that are found within this national park such as desert mahogany, Ponderosa pine, aspen, gambel oak, single-leaf ash, and Utah juniper. Meanwhile, there is also a wide range of wildlife that inhabits the area. Among these wildlife species include the mule deer, coyote, black bear, beaver, elk, cougar, raccoon, river otter, bobcats, and more. 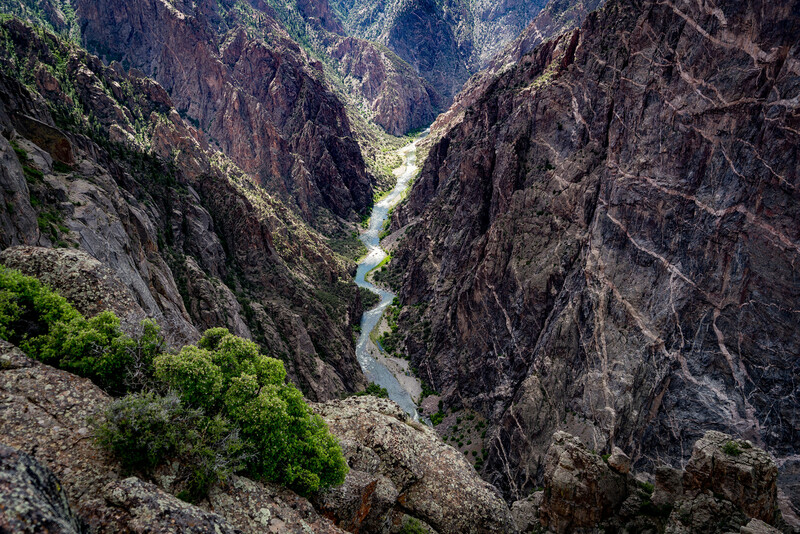 As mentioned above, the Black Canyon of the Gunnison National Park is visited by more than half a million people every year. Aside from the sight-seeing opportunities with the Black Canyon, there are also a host of tourist activities that can be enjoyed during your visit. During the warm season, the canyon is popular with rock climbers (it is an advanced rock climbing course). Other fun activities to try in the summer are nature walks, camping, horseback riding, fishing, hiking, rafting, and kayaking. 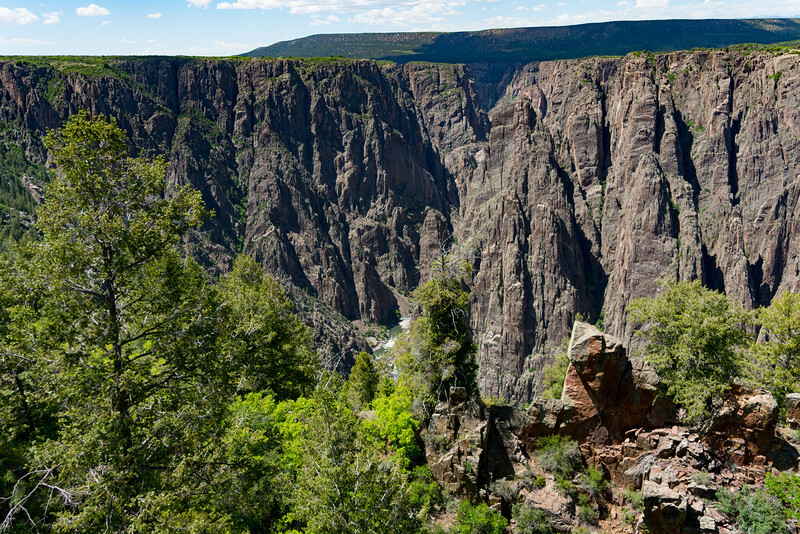 In the winter, tourists still flock to the Black Canyon of the Gunnison National Park. During this time of the year, the north rim entrance is closed to guests. The other entrance is still open to so you can explore a host of other tourist activities namely back-country camping, cross-country skiing, and snowshoeing. You can plan your visit to the Black Canyon of the Gunnison National Park according to what types of views or activities you wish to enjoy. Thanks for this informative feature. It was fascinating to find out about the areas in the middle latitudes of America could receive only 33 minutes of sunlight per day. I’d love to visit it in both summer and winter. I just wonder whether skiing there is appropriate for beginners? That canyon is just incredibly gorgeous. It looks like a serious climb, but also a pretty amazing one. I can’t get over the colors!